The bathroom in our new home, doesn't need much doing to it as the previous owners hadn't that long ago renovated it. Although smaller, than the one in the flat we were renting its still a good size family bathroom. Colourwise I really like the tiles the previous owners had chosen as I wasn't to keen on the white ones in the flat due to mould being easy to see. The bathroom to me is an important place in the home as its a place for me to go after a busy and long day/week and relax. 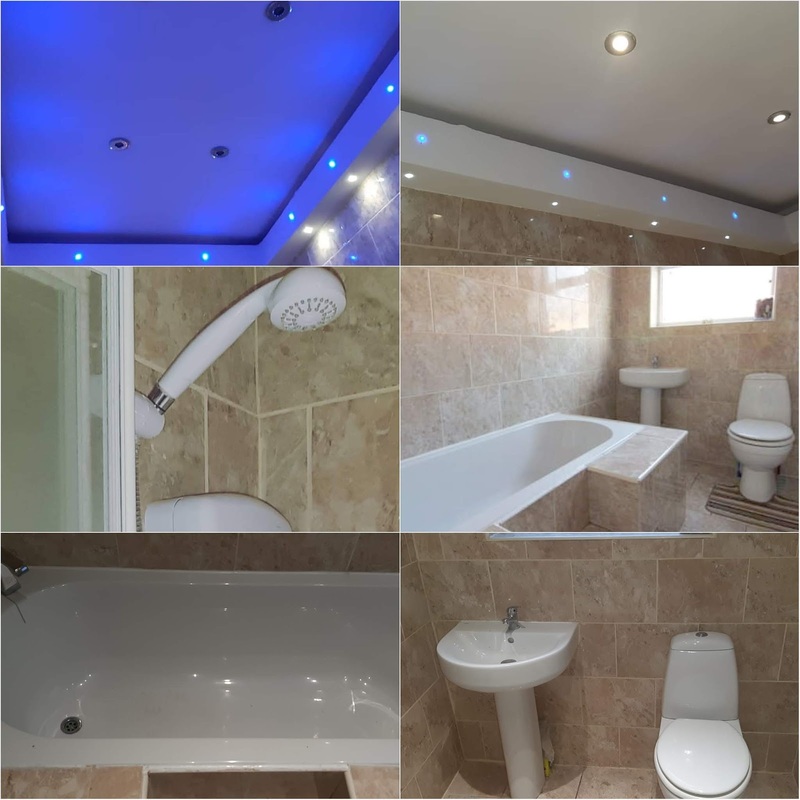 One of my favourite parts of our bathroom has to be the LED lights across the beams. It brings a relaxing ambience to the bathroom, for when I have my bath. Blake also loves this as he is very sensory and enjoys looking at the lights whilst having his bath. Another part of the bathroom I like is the step into the bath, this makes it alot easier to climb in and out especially for Blake. The main thing I want to replace in the bathroom is the shower screen. We currently have a 4 panel one, which I'll definitely opt for again. However our current one is hard to clean so a new one would be great maybe a silver one instead of white. Accessories can really change a room and once we moved in and got all unpacked it was lovely to see all our bits in there. I did however want to get a few new bits which I thought would go with the room a bit better. We were extremely lucky to collaborate with Victoria Plum to choose some accessories. 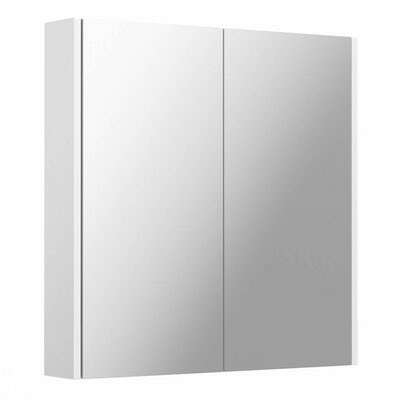 First of all is this sleek and modern looking Clarity white mirror cabinet. I've been nagging Stuart to put it up so we can start using it to store medication out of reach of Blake. The cabinet is a great way to add practically to a bathroom especially if you need extra storage like us. The cabinet is made from water resistant enginered wood with a durable high gloss finish. 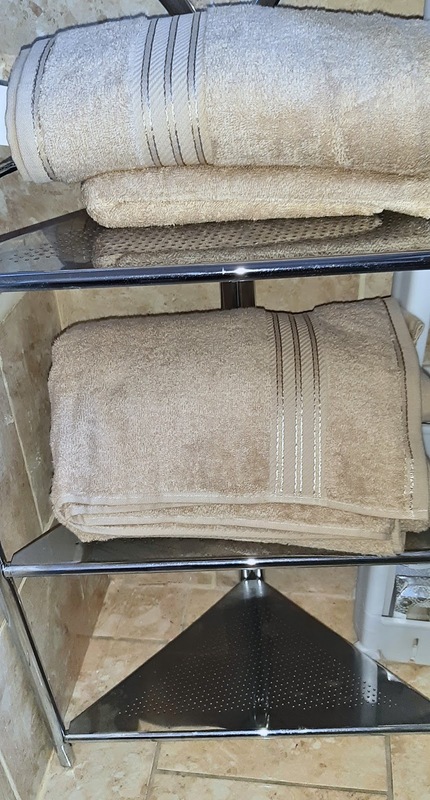 New towels are a must, I love nothing better than wrapping myself in a super fluffy towel when I get out of the bath or shower. The supreme latte towel bale is made from 100% Egyptian cotton for a quality you can feel. The super soft and fluffy bale which consists of 2 hand towels, 2 bath towels and 2 bath sheets is ideal starter for your new collection. The latte colourway is a perfect fit for our bathroom and they bring a luxury feel to the room. 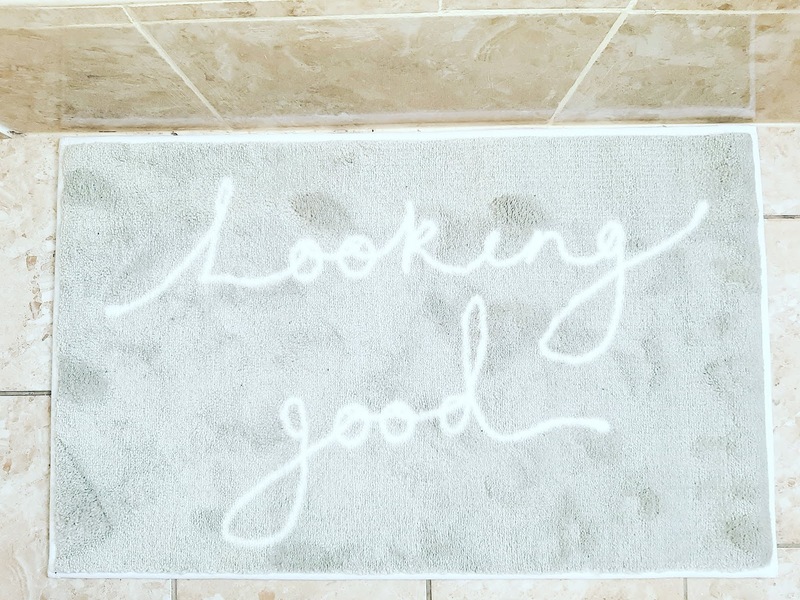 I love this Hug rug looking good bathroom mat which brings a bit of fun to our bathroom. It's super soft and luxurious and dries up 60% faster than cotton mats due to featuring polyamide pile. It's also super absorbent holding up to three and half times it's own weight in water. Not only that it also provides antibacterial protection for up to 12 washes. Available also in a darker shade of grey the mat has non slip rubber backing and taped cotton edging so that it won't shed. *We were gifted items from Victoria Plum for the purpose of this post. All thoughts are my own.